As the herbs begin to get plentiful in the garden, it can be a little overwhelming trying to figure out a way to use them all. As summer picnics and potlucks begin to happen, it's nice to have a fun way to serve those homegrown herbs. Make candied herb leaves for decoration on cakes, cupcakes, and cookies a beautiful and delicious presentation. 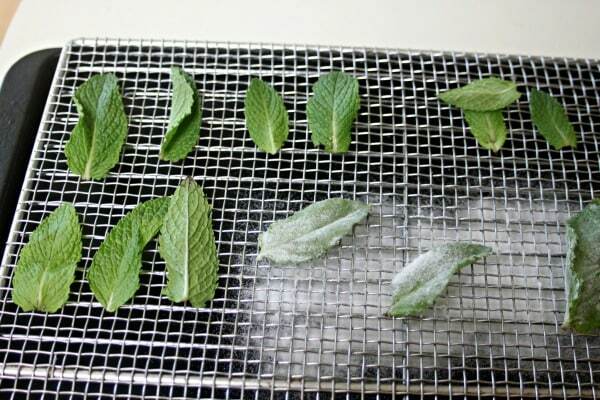 Candied herb leaves are nothing more than fresh herbs, painted with an egg wash, and then dusted with sugar. It can be a bit of a time-consuming process but when done in small batches a rewarding one that truly does add a special little touch to those baked goods. This process will work with any herb leaf and edible flower for that matter (think pansies, rose petals, etc.). For taste, match the herb leaf with the flavor of the baked good. Some ideas to consider: Mint leaves are great with chocolate cupcakes, lemon balm leaves go great with lemon cheesecake, rose petals are beautiful on fancy white frosted cakes, hyssop leaves are tasty with white chocolate frosted cookies. Make sure the herb leaves are washed and completely dry. 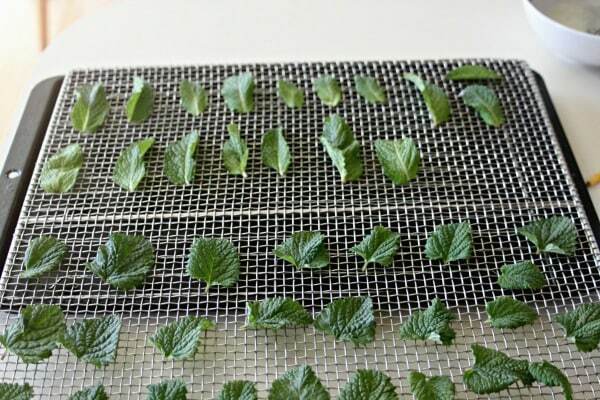 Lay them out on a wire cooling rack or dehydrator tray. I do this over a baking sheet to help contain the mess and extra sugar. Whisk together the egg white and water until frothy. Using the paintbrush, coat both sides of the herb leave with the egg wash. Do this in a light coat, no puddles of egg wash should remain on the leaf. 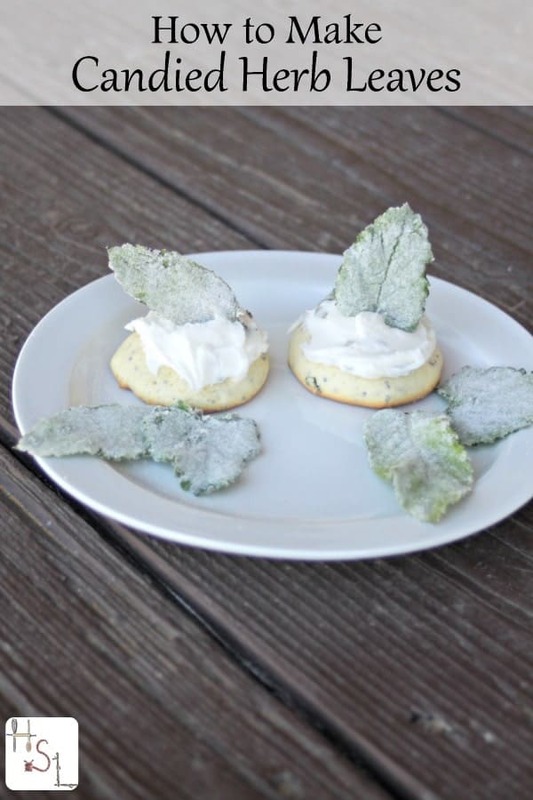 Sprinkle sugar over both sides of the coated herb leaf. I normally re-use the extra sugar that lands in the cookie sheet – don't let that go to waste. When all of the leaves are coated, move them to the another rack, lined with parchment paper. Let these leaves dry overnight. I usually let the racks sit in the dehydrator to dry but don't turn the dehydrator on, let them air dry. When completely dry and crispy, store the leaves in an airtight jar. Use up the candied herb leaves within 1 year.